Click Here to Call NOW for your Customised Free Skin Consultation. for Endy Bleph non-surgical Eye Lift at our Essex Clinic. The EndyBleph™ Non-Surgical Eye-Lift uses a combination of two clinically-proven ENDYMED™ treatments; GLOW Skin Tightening & Lifting and PURE Skin Resurfacing & Tightening. The treatment is proven to reducing fine lines and wrinkles and improves skin laxity around the eye area. For long lasting results we recommend the use of cosmeceutical skin-care which can be recommended at the time of treatment. Prior to the treatment we use a local anaesthetic to ensure that you are comfortable throughout the treatment. The treatment commences using the GLOW™ Skin Tightening & Lifting around the eye, using the ENDYMED™ skin science specialist hand-piece which delivers a controlled, focused radiofrequency deep into your skin, which gently generates the optimum level of heat to stimulate your skin cells. The cell stimulation encourages new collagen production which improves the underlying structures of your skin, causing it to tighten and lift. Next is the PURE™ Skin Resurfacing & Tightening to the same area. This treatment utilises ENDYMED™ 3DEEP Skin Science to boost the tightening effect while treating the surface layer of the skin at the same time. 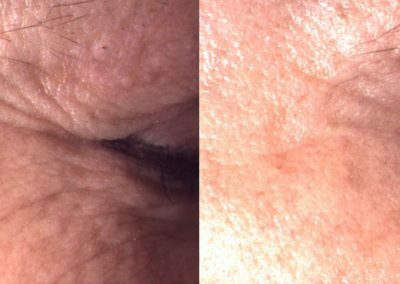 This level of radiofrequency works at a superficial level on the epidermis, by removing the skin in microdots as intense but rapid heat spots are created. Consultation: Free Consultation – Why don’t you book in to have a no obligation chat about a non-surgical Eye Lift and see why so many of our patients recommend us!. Treatment Areas: Anti Wrinkle Injections, Botox and Fillers, Collagen Stimulation, Dermal Fillers Injections, Non-Surgical Eye Lift. Why us: Our patients regard us as having the Best non-surgical Eye Lift treatments in Essex. Read what they say in our Endybleph Patient Review section and our 5.0* Eye Lift Essex Google + Reviews. Patients Travel From All Over Essex for our Endybleph Treatment: Basildon Bishops Stortford, Braintree, Brentwood, Chelmsford, Colchester, Dunmow, Kent, London, Maldon, North Essex, Southend, Wickford and Witham. The Award for the Furthest is Monaco!. Possible complications: Redness, bruising, swelling, allergic reaction, temporary drooping of eyelids or eyebrows after forehead injections* * Please Click Here for your Endybelph Treatment Protocols. *Everyone is unique, the information on this page is a guide, results and reactions may vary. The EndyBleph delivers amazing results on the Eye Area . The Non-Surgical alternative to an eye lift. "At Facial Aesthetics we are focused on delivering unprecedented results and client care." The Endybleph eye lift is a treatment to the delicate eye area, giving you that non-surgical eye lift. Click Here For a Complimentary Consultation. 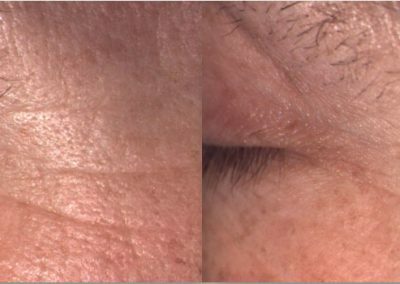 We hope the before and after images below will help show what dramatic changes can be made with our treatments. 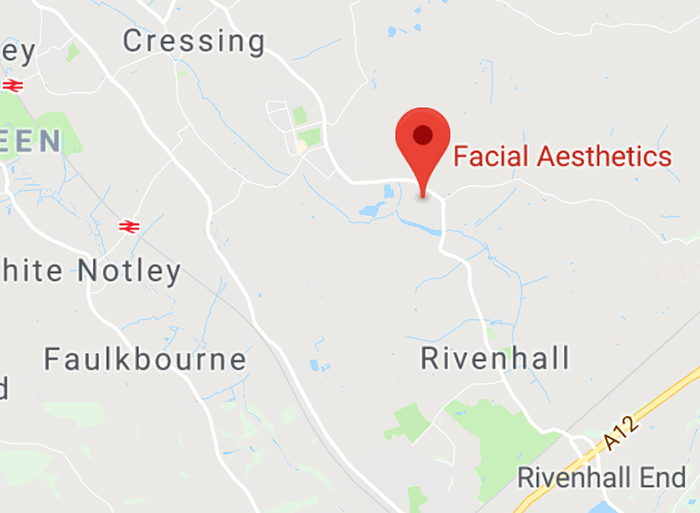 The power of positive reviews is why at Facial Aesthetics North Essex many of our clients refer us to friends and family, and why we are regarded as the Best for Anti-Ageing & Aesthetics of Essex. To read our FAQ’s about the Endybleph Treatment Click Here to help you understand if the treatment is right for you, but please remember we can answer any more detailed questions at a complimentary consultation, over the telephone with one of our clinical experts or by completing the below contact form. Click Here to review our treatment guidelines, your procedures will go more smoothly with a quicker healing time, reduced bruising and enhanced results if you adhere to some of our simple guidelines.